3rd Visit To The U.S. The monks will perform an opening blessing and ceremony for the dismantling of the existing Medicine Buddha Sand Mandala and the beginning of preparations for the new Chenrezig Sand Mandala. One of the purposes of dismantling the existing Mandala is to bring awareness to impermanence and non attachment. The sand will be taken to the a neighboring River to spread Medicine Buddha’s blessings into the oceans and the world. Peter Blum has been collecting, recording and performing on Himalayan singing bowls for the past 30 years. First, there will be a brief sonic meditation, where you will experience transcendental sounds from his amazing collection of 35+ singing bowls. Following that, Peter will give a presentation on how to select the singing bowls that will enhance your private or professional use as a tool for healing and meditation. Various types of bowls will be demonstrated, as well as several ways of making bowls “sing”. Participants will get an opportunity to play bowls, and then, if interested, can find beautiful bowls to purchase from the Tibetan Center’s extensive selection. 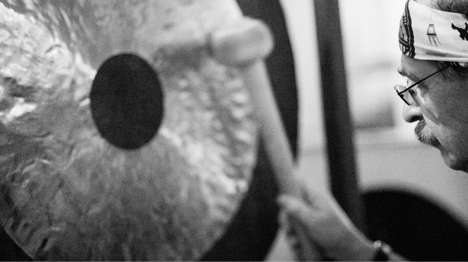 Peter has served on the Board of the Deep Listening Foundation, been on the faculty of the Omega Institute, The Graduate Institute, and presented Sounds for Healing concerts and workshops at The Abode of the Message, Menla Retreat Center, The United Nations, and yoga studios throughout the United States. Since 1999, he has released 7 CDs featuring the Himalayan singing bowls, both solo and accompanied by drums, flutes, gongs, vocals, guitar, tamboura, didjeridoo and other instruments from around the world. A film about a young woman shephardess alone in the glaciers or Northern Ladakh, as her life is documented for four seasons by her brother and Director, Stanzin Dorjai. Namgyal Lhamo, an acclaimed classically trained Tibetan singer, plays a similar character in a film loosely based on her own life. 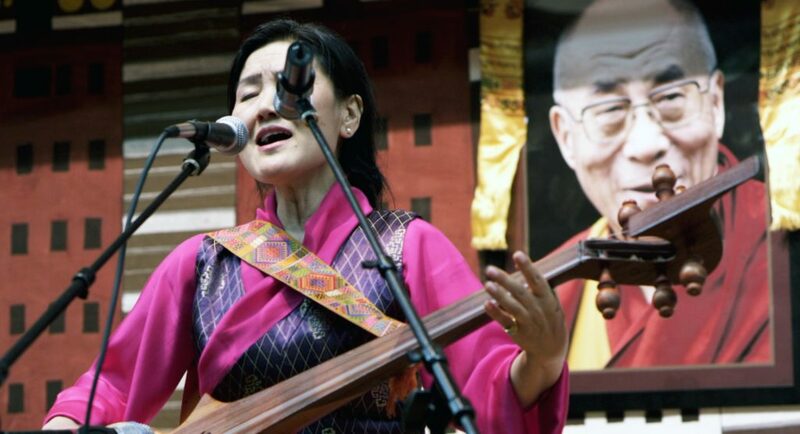 Yiga Gyalnang is abducted and thrown into “Drapchi,” one of the most dreaded prisons in Tibet, for what the Chinese government sees as rebellion through her songs of freedom. After years of isolation and torture, she breaks free and escapes to Nepal and then to the West, taking with her an unbroken soul, tremendous strength and her voice that could never be silenced. Starring Namgyal Lhamo. Directed by Arvind Iyer. 2013 in English, 74 mins. Sound is an audible facet of vibration. All of creation and all human beings are vibrational. Modern science is now proving what yogis, shamans and initiates have been teaching for centuries. Understanding how to utilize the mystical dimensions of sound and rhythm allow us to access expanded states of consciousness. After a brief overview of the history of the use of sound and music for healing and spiritual guidance, participants will have the opportunity to experience a meditative concert utilizing Peter’s collection of over 35 singing bowls, gongs, tingshas, and tuning forks. 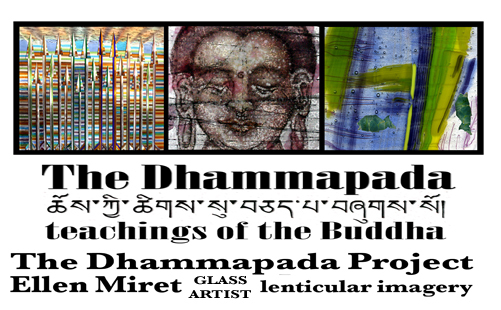 Peter has served on the Board of the Deep Listening Foundation, been on the faculty of the Omega Institute, The Graduate Institute, and presented Sounds for Healing concerts and workshops at The Abode of the Message, Menla Retreat Center, The United Nations, and yoga studios throughout the United States. He has studied music and sound healing with Dr. Karl Berger, Ustad Jamaluddin Bhartiya, Beautiful Painted Arrow, Pauline Oliveros, Fabian Mamman, Dr. John Beaulieu, and Don Conreaux. He has recorded 7 CDs featuring the Himalayan singing bowls, drums, flutes, gongs, vocals, guitar, tamboura, didjeridoo and other instruments from around the world. Two monks honor their vows by bringing children from the remote Zanskar region to where they can receive a Tibetan Buddhist education befitting their heritage. The community will do whatever it takes to have their hazardous journey succeed. Directed by Frederick Marx. 2010, narrated by Richard Gere, featuring the Dalai Lama. 90 mins. Starring Namgyal Lhamo, the film is the fictionalized story of a Tibetan opera singer abducted and imprisoned by government forces in retribution for her beautiful songs of freedom. She eventually escapes and travels into exile. Directed by Arvind Iyer. 2013, in English. 74 mins. In the Tibet Autonomous Region in the 1990s, a journalist accompanies patrols trying to protect the Tibetan antelope from poachers. Both groups must face the harsh environment in the largest and highest plateau in the world. Directed by Lu Chuan. 2004, in Mandarin and Tibetan with English subtitles. 90 mins. Twenty years ago His Holiness challenged world-renowned Neuroscientists to look into the workings of the mind and prove scientifically that Tibetan Buddhist technologies for overcoming afflictive emotions are skills that can be learned by anyone. As he turns 82, how does he feel about aging and death, will he reincarnate as the Dalai Lama, or will he be the last of the lineage that has existed for a millennia? Directed by Mickey Lemle. 2016, in English. 82 mins. This illuminating documentary shows Tibetan Buddhist nuns as full individuals beyond their monastic vows and religious practices. From the use of Facebook to a love of horror films these nuns never fail to challenge preconceptions, integrating the craziness of the modern world into their ancient form of monastic lives. Directed by Adam Miklos. 2013, in English. 67 mins. A documentary film that follows maximum security prison inmates entering an intensive, extended Vipassana retreat, what the director called the opportunity and techniques for significant introspection in a safe and supported environment. There they will journey into themselves and their misery to emerge with a sense of peace and purpose. Directed by Jenny Phillips, Andrew Kurkura, Anne Marie Stein. 2007, in English. 76 mins. At over sixteen thousand feet in the far northern mountains of Ladakh, Tsering, one of the last shepherdesses, grazes her flock of 300 sheep and pashmina goats. In the dry and desolate landscape they are under the continuous threat of wolves and snow leopards. Filmed over four seasons, we witness both her world of icy loneliness and that unbreakable bond between humans and animals. Directed by Stanzin Dorjai and Christiane Mordelet. 2015, Ladakhi with English subtitles. 74 mins. A masterful portrait of the late 16th Gyalwa Karmapa, head of the Karma Kagyu lineage, one of the four great lineages of Tibetan Buddhism. Directed by Mark Elliott. 1985, in English, 50 min. The story of a struggle for the leadership of a tiny mountain village between its proud chief and a headstrong young caravanner as they make their annual salt trek across the Himalayas. Directed by Eric Valli. 2000, in Tibetan with English subtitles, 108 min. A young refugee travels from Canada, where she was raised, to her native land, Tibet, in order to share a video message from the Dalai Lama. Directed by Hugo Latulippe and Francois Prevost. 2004, narrated in English, 77 min. By a Chinese filmmaker, featuring non-professional Tibetan actors, an account of a 7-month 1,200 mile pilgrimage to Lhasa from eastern Tibet. Directed by Zhang Yang. 2016, in Tibetan with English subtitles, 117 min. A shepherd leading a simple life goes into town to get an ID card in this parable about contemporary life in Tibet. Directed by Pema Tseden. 2015, in Tibetan with English subtitles, 123 min. Employing animation, historic film footage and interviews, this documentary film is an account of how Vietnamese Zen masters Thich Nhat Hanh and Sister Chan Khong, and American anti-war superhero, Alfred Hassler, used the power of mindfulness for peace during the turbulent Vietnam War. Directed by Stuart Jolley and Gregory Kennedy-Salemi. 2016, English, 58 min. Three women are inspired by the teachings of His Holiness the 17th Karmapa, Orgyen Trinley Dorje to engage in social action in Bodhgaya, India. Directed by James Gritz and Maria Fernanda Rivero. 2011, in English, 60 min. Nine-Story Mountain April 30th Directed by Augusta Thomson. (USA, 2014, 85 mins, in English.) Documentary film. May 21st Home to Tibet Directed by Alan Dater & Lisa Merton. (USA, 1995, 56 mins, in English.) Documentary film. June 25th Valley of the Heroes Directed by Khashem Gyal (2013, 54 mins, in Tibetan & Chinese with English subtitles.) Documentary film. July 23rd Old Dog Directed by Pema Tseden (China, 2011, 88 mins, in Tibetan with English subtitles.) Narrative feature film. September 24th The Dossier Directed by Rikun Zhu. (China, 2014, 128 mins, in Chinese & Tibetan with English subtitles.) Documentary film. June 13th Summer Pasture Directed by Lynn True, Nelson Walker, Tsering Perlo. (2010, 86 mins, in Tibetan with English subtitles).